The Stitch water bottle wasn't actually a sale purchase but I couldn't leave it out. I saw this on Facebook and knew I had to go get one, it is actually a tin one so is much better for me. Although I won't use this for the gym (it is far too nice for that) I think this could become my work water bottle, this was only £10 at the Disney Store. I always save my boots points up throughout the year so that when they have their sale I can treat myself however, this year nothing was really jumping out (I still need to find a perfume I really want), the only think I did pick up was this Zoella mug and caramel hot chocolate set. 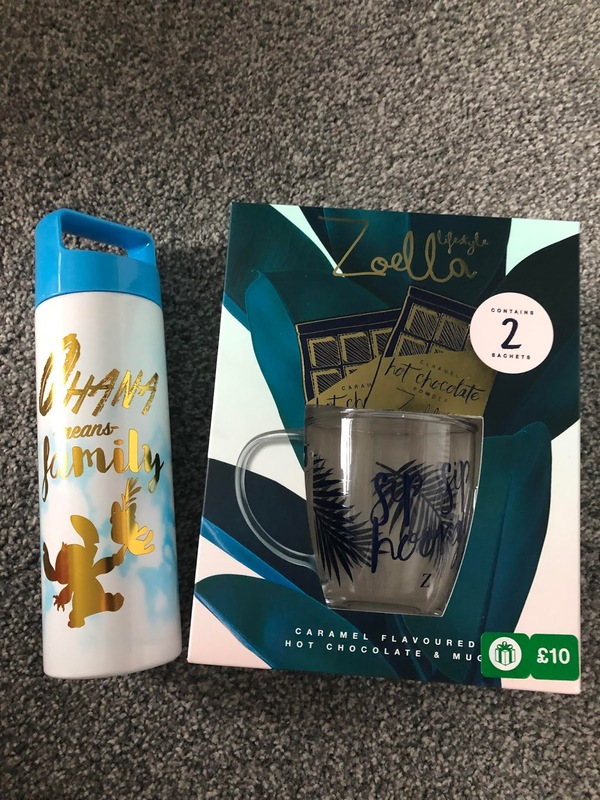 This ended up at just £5 but I purchased it using my points and the cup just looks brilliant. 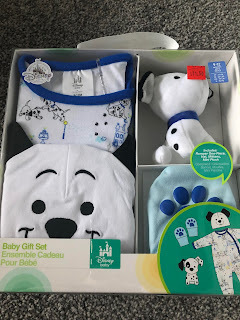 With the nephew being due in March I have definitely gone overboard with purchase items for him, in fact most of my wardrobe is just presents for him. 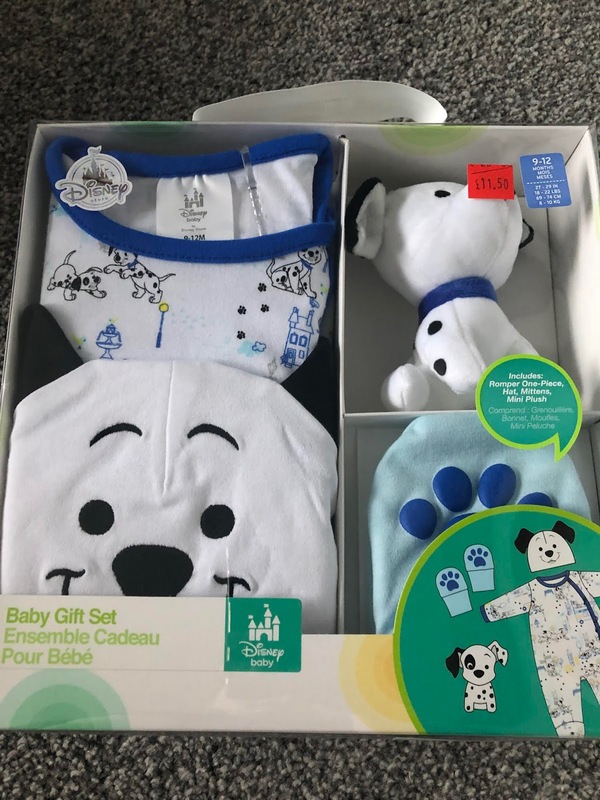 However, when I saw this 101 Dalmatians set in the Disney store for £11 I knew straight away I wasn't leaving it behind, I really love the little hat and soft toy in the set, plus I got it in a bigger size so he can grow into it. 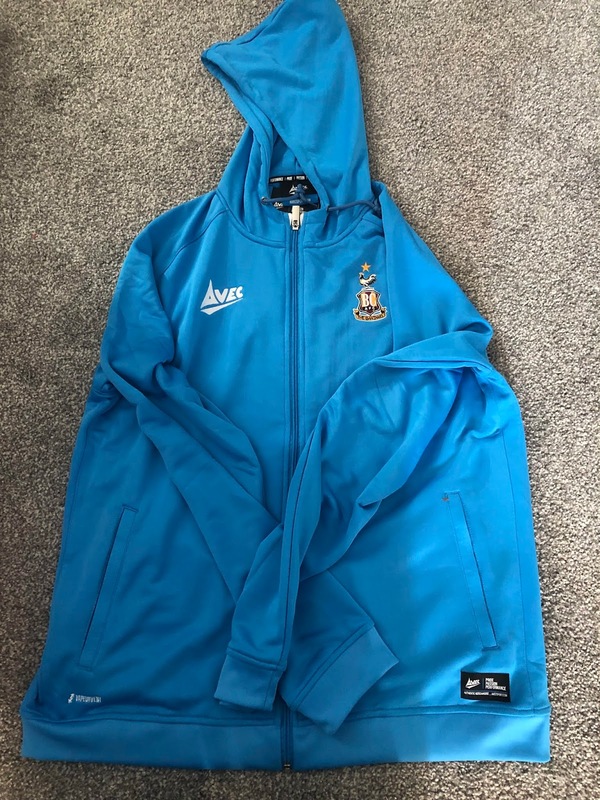 Anyone who knows me knows I am a huge Bradford City fan, every time I go into the City shop there is a new item I am after. 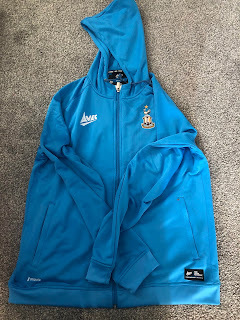 One item I have had my eye on for a long time was this light blue jacket that matches the away shirt (the only one I own this season). I was boycotting the shop for a long time as I really didn't want to give the chairman anymore money as I really disliked him but he finally left the club so I could go back to spending. It was just my luck that this jacket had been reduced down to £28 too so I got an even better deal on it by waiting for a change. It is actually a brilliant fit too and I can't wait to wear it a lot more although I do want to try limit it to matches not everyday like I usually do. I decided that 2019 is the year I am going to add a bit of colour to my wardrobe for a change, our loads of washing are literally dark loads only with a lot of black and dark grey, it is time to mix it up as I discover my style more and try get out of my comfort zone (especially as I get rid of this weight and gain more confidence). So when I walked into Footlocker and saw this Nike T-shirt for £7.99 I knew it would be a great addition to the wardrobe. It really gives me a Fresh Prince sort of vibe and I really can't wait to style this T-shirt. One of my favourite things alongside gaming and football is adding to my forever growing trainer (sneaker collection). 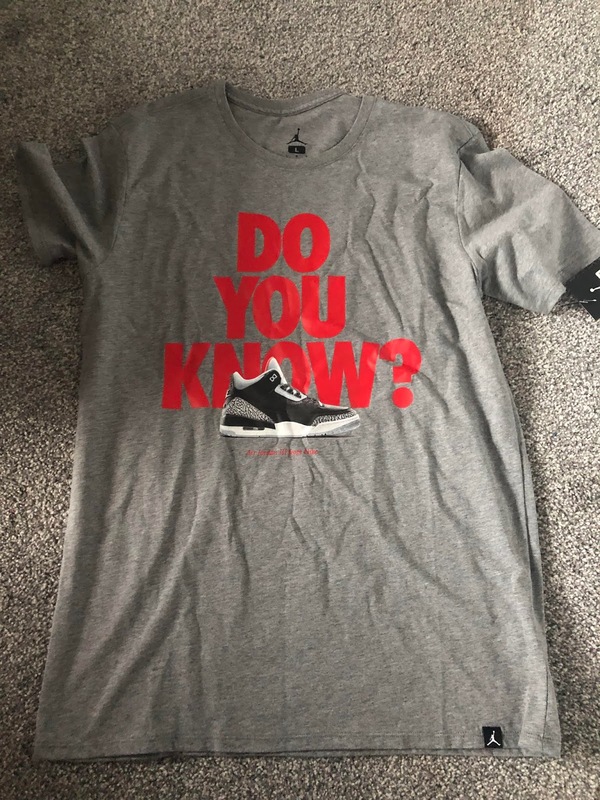 It is slowly getting out of control but what can be better than a trainer on my T-shirt, especially one of the Jordan's I really want to add to my collection. 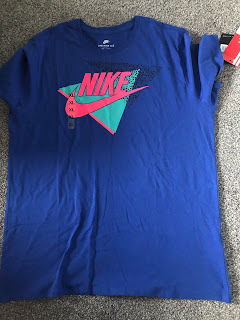 I have always wanted to start adding Jordan clothing into my collection as some items look amazing and this T-shirt ticks all the boxes, the quality feels amazing and I can't wait to get styling it, plus it was a bargain of £9.99 when the original price was £31.99. I honestly think there could be more Jordan items added to the collection through the year. 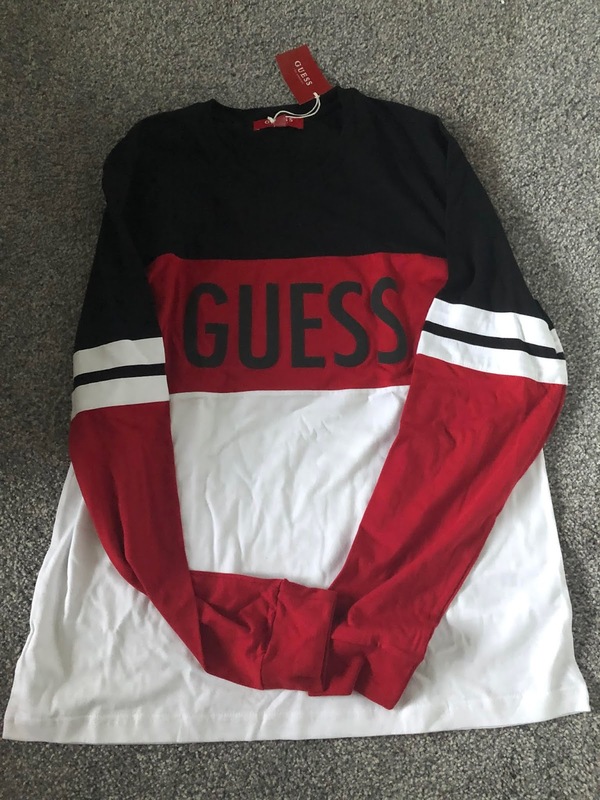 Guess is one of those brands I have always wanted to try but never found that one item that has jumped out on me. On a recent visit to the York Designer outlet though I found this lovely long sleeved top. It wasn't technically in the sale but as it was in the outlet it was at a discounted price of £29.00, I had been on the look out for a nice new long sleeve top as my current ones are all a little too big and I thought this one looked very smart. Plus it is in my favourite colours. The thickness is also perfect as it isn't too thick for those cooler days but isn't too thin for those days when you want something a little warmer. I already have the perfect outfit in mind for this one. I am a nightmare for misplacing my license and bank card, this is mainly because I just throw them in my pocket and hope for the best. Not only do they go missing but they also get damaged. 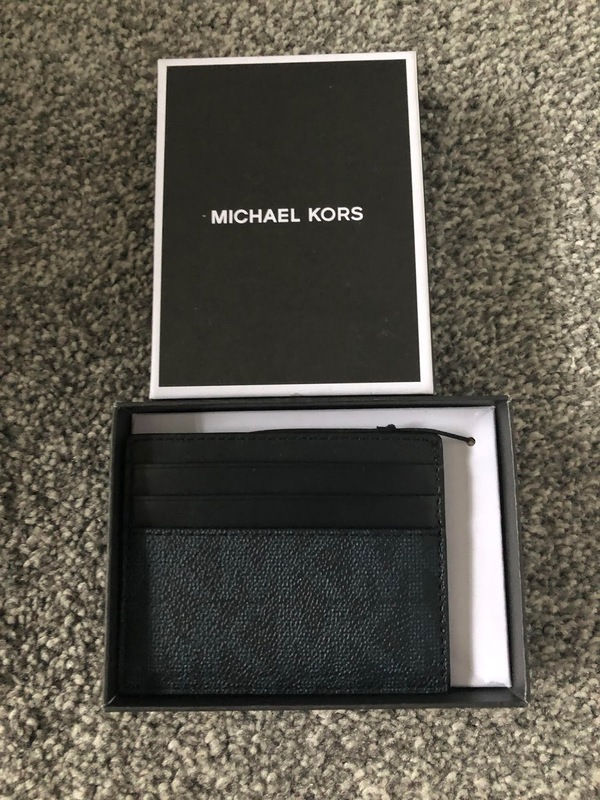 So to solve this I decided to treat my self to a Michael Kors card holder. I love the colour of this and how it has the MK logo all over it. This should be the perfect solution as in my opinion it looks pretty stylish too. 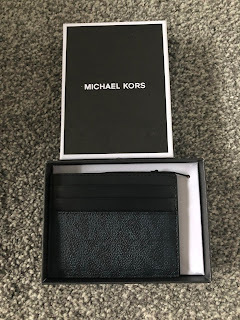 I managed to pick this up for just £22 at the outlet. As I mentioned earlier in the post my collection of trainers is forever growing, in fact in the sales I have picked up 3 new pairs. 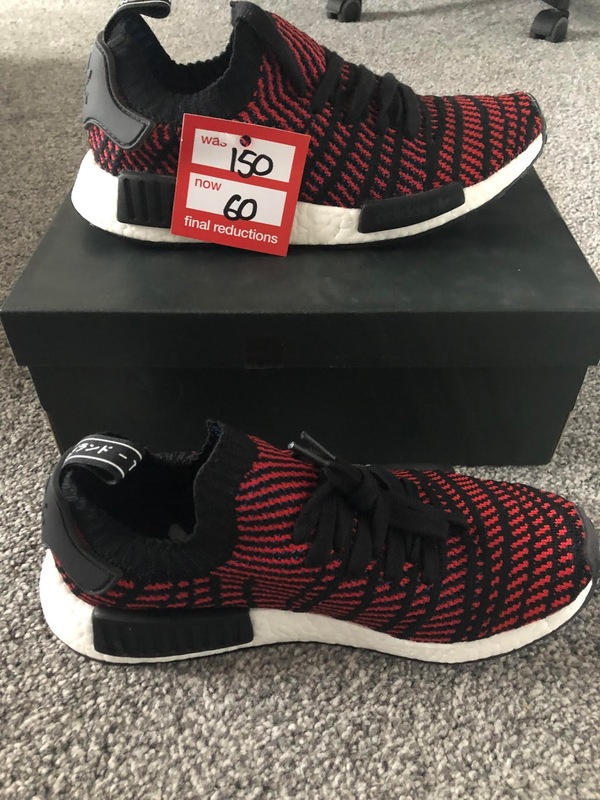 I got these NMD's at long last at a bargain price, originally £150, marked down to £60 but scanned through at £45. I had my eye on some of these for a while as I love the silhouette and the colours they come in. Plus I love this red and black colourway, is it bad to say I already have my eyes on a few more of these? I also managed to get some Jordan's for just £20 from a local Nike outlet but I have them coming up in a future post so keep checking back to see those. The final pair I picked up are a pair of Under Armour trainers for the gym for just £28. Again these will be in there own post so keep an eye out, but I can't wait to get wearing them. So there you have it those are the items I managed to pick up in the sales. Did you get anything good?